By Johnny Benz, Doghouse Boxing. 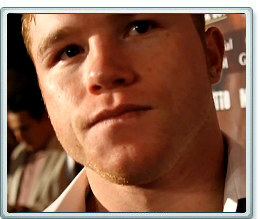 -	Saul Alvarez takes on Josesito Lopez next, and a win could propel him into a fight with Floyd Mayweather. As far as Saul Alvarez is concerned, he is ready to fight Mayweather now. Alvarez went on to add: "We are ready for him tonight. We flew to Los Angeles [GBP headquarters] to sign for the fight. But you know, Mayweather said one thing and we said another. But for now, Mayweather gets preference because he is the best fighter pound-for-pound. But rest assured that when the fight happens, I will be the happiest person in the world."